Pure Storage was founded with the ambitious goal of revolutionizing the computing infrastructure industry. Today we are building the data platform for the cloud era & weve accomplished the first step towards that goal by bringing to market the simplest & most reliable all-flash storage array in history. The full potential impact of our line of "Smart Storage" products is only beginning to be felt as customers discover the benefits & exciting applications that can be built on top of a Pure system. Puritans come from various backgrounds & we thrive off of challenging the norm. This cross pollination of backgrounds led to numerous ground breaking ideas & has helped us build one of the most reliable & easy to use storage systems in the industry. We strive to hire the best & brightest people, who excel in a cutting edge, fast paced, collaborative & transparent environment. We are seeking enthusiastic individuals to solve real world problems while having fun along the way. 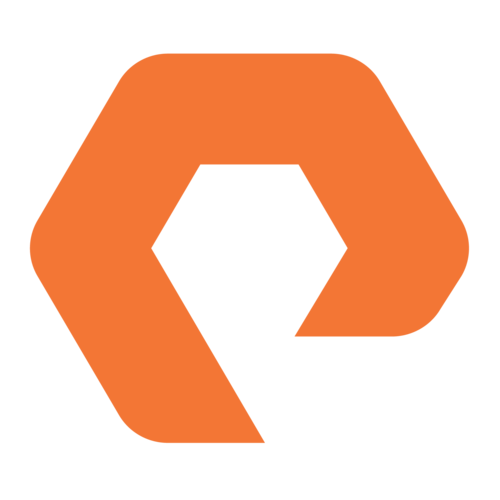 Pure Storage is seeking an Alliance Partner Manager to manage Pures relationship with Cisco. Drive highly productive field-to-field teaming across sales, pre-sales, specialists, & other resources from both Pure & Cisco. Teaming will be focused on pipeline building, NNL/Customer Acquisition, reference building/reference selling, & related activity. Drive highly productive Pure partner & Cisco partner collaboration -- joint solution development & deployment, joint demand generation, pipeline building, increase partner rep participation, events, & related activity. Influence key practice areas (Data Center, for example) within Cisco globally based on repeatable success in the west region. Align with other alliance partners (VMware, Citrix, etc.) to drive new/incremental value for Pure sales & Pure partners. 10+ years of experience in high tech business development, relationship/alliance management & sales. Results driven, customer focused, technologically & competitively savvy. Skilled & creative business development manager with understanding for sales & channel dynamics. Highly motivated & productive in a hyper-growth environment. Communications & collaboration skills to work effectively with & influence internally & externally & internationally. Strong interpersonal & collaboration skills. Excellent relationship building & negotiating skills. Able to influence sales & GTM team decisions. High standard for personal integrity. Strong, analytical thinking & decision-making skills. Ability to set & manage priorities, budgets, & deadlines. Experienced at managing & delivering on time with multiple concurrent priorities. We look for talent & culture first, specific technologies second, so once you decide Pure is the right place for you, we will match you with the right project to start with. Plus, we like people to have the ability to do different things & be constantly learning, so we encourage our engineers to move around to different teams & project across the company. Pure offers an unlimited vacation policy, free lunches, meditation rooms, free yoga classes & employee resource groups, such as Pure Equality & Pure Vets, to encourage all of our employees to maintain mind & body wellness. We offer numerous volunteer opportunities for employees to give back not only to the Bay Area, but across the globe.